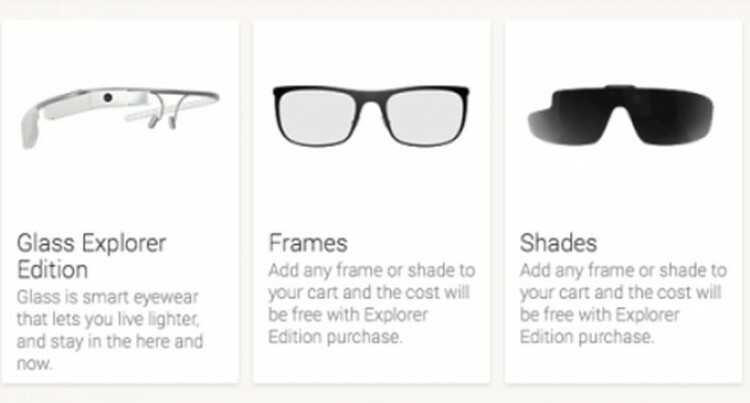 Google is selling the Glass Explorer Edition on its Play devices store, still for $1,500, with your choice of a free frame or sunglass shade in the mix. The Glass model listed is still very much Google’s experimental product, but the descriptions in the listing make it sound more like falling into the category of an “Explorer”. It is now more about how many extreme sports you’re involved in than how comfortable you are with alpha software builds. Putting Glass up on its devices storefront signals yet another widening of the availability of the wearable computer, after Google first opened up the program to everyone (instead of just those invited to participate) temporarily, and then permanently. By making it easier to find and acquire, Google is slowly broadening its potential user base for the devices, even if it isn’t making any claims about a consumer launch or taking the hardware out of beta. But Google putting it up on its main devices store should at least remind people that it’s still around, and that developers are still building software for the face-based computer. It’s also interesting that it’s for sale just under Android Wear, which is the platform I see Google betting on for wearables in the foreseeable future.